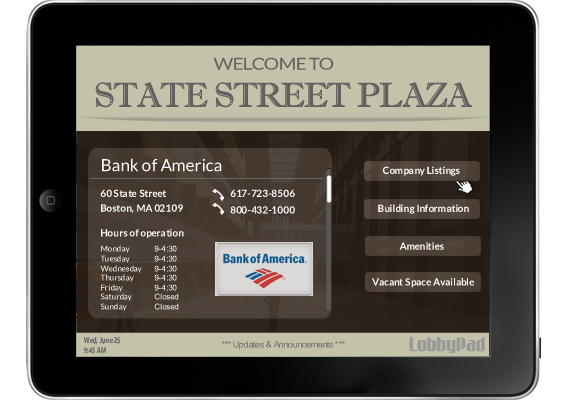 Enhance your front desk services with LobbyPad's Visitor Attendant. Your visitors will enjoy the easy to use self-service attendant to find their way, search for companies, view updates/announcements as well as other services built to your specifications. Make LobbyPad an integral part of your building services and a welcoming experience for your guests. 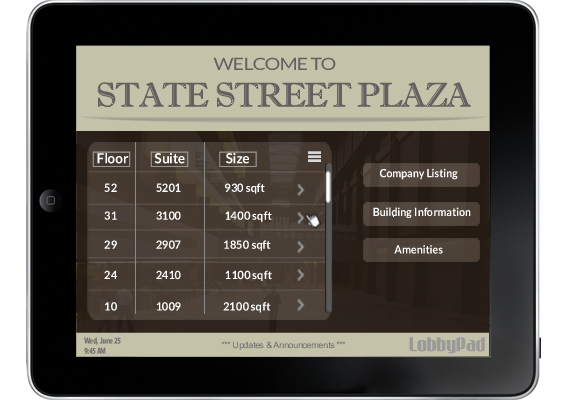 Our interactive directory program provides visitors with an attractive and intuitive interface to locate tenants and amenities quickly. Easy to Update: Update your directory content online in seconds. Your tenant database is backed up on our servers. Easy to Setup: All you need is a WiFi connection to configure! Secure your floor-standing, desk or wall mounted kiosks and you are up and running. Unlimited Tenant Listings: Display companies, office suites, address, phone numbers, hours of operations and even give your visitors access to securely browse your tenants website. 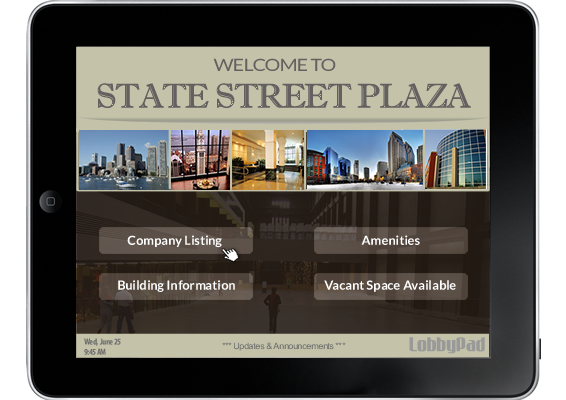 Space Available & Leasing : Generate leasing leads by displaying your available listings. 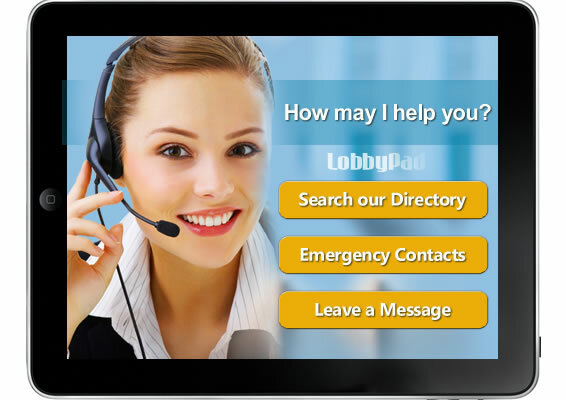 Provide contact information at the touch of a button. Ticker Message: Scrolling list of current events and building announcements. Building Amenities: Highlight building amenities and local area services. 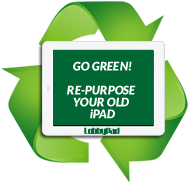 Display LEED Information: Highlight Green Building features.